James Travis Tritt (born February 9, 1963) is an American country music singer, songwriter, and actor. He signed to Warner Bros. Records in 1989, releasing seven studio albums and a greatest hits package for the label between then and 1999. In the 2000s, he released two albums on Columbia Records and one for the now defunct Category 5 Records. Seven of his albums (counting the Greatest Hits) are certified platinum or higher by the Recording Industry Association of America (RIAA); the highest-certified is 1991's It's All About to Change, which is certified triple-platinum. Tritt has also charted more than 40 times on the Hot Country Songs charts, including five number ones — "Help Me Hold On," "Anymore," "Can I Trust You with My Heart," "Foolish Pride", and "Best of Intentions" — and 15 additional top ten singles. Tritt's musical style is defined by mainstream country and Southern rock influences. 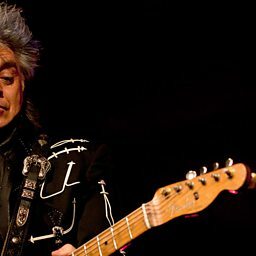 He has received two Grammy Awards, both for Best Country Collaboration with Vocals: in 1992 for "The Whiskey Ain't Workin'," a duet with Marty Stuart, and again in 1998 for "Same Old Train", a collaboration with Stuart and nine other artists. In addition, he has received four awards from the Country Music Association, and has been a member of the Grand Ole Opry since 1992.